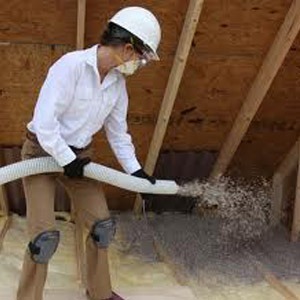 Pest Control Attic Insulation is a natural fiber insulation treated with boric acid and other proprietary formulations to produce fire-retardant, environmentally-friendly, thermally superior, sound-deadening insulation with pest-controlling properties. It is acceptable for use around humans and pets, but deadly to cockroaches, silverfish, ants, termites, and many other crawling insects. It is a U. S. EPA-labeled pesticide. Pest Control Attic Insulation is the result of a revolutionary merger of two well-respected technologies—natural cellulose insulation and natural borate pesticides—creating Thermal, Acoustical & Pest Control Insulation, the only stabilized pest control insulation. As part of a total pest management package, it can be used to cap existing insulation in attics, or can be installed in the attics, walls and crawlspaces of new construction. Pest Control Insulation pays for itself quickly in reduced energy costs and then continues to save you money for the life of the structure. 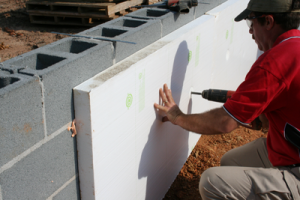 We also offer rolled Batt Fiberglass Insulation as well. The product we use is FORMALDEHYDE FREE. We can provide complete removal of your old rodent infested insulation. Clean Up and sanitize animal and rodent droppings and pathogens associated with these droppings. We have found that most homes are under insulated, even brand new homes. If your home is very deficient the cost of the insulation job could pay for itself in under 2 years, and you will reap the benefits for the remainder of the time in your home. You could save 20, 30, almost 40% on your heating bills. This will also help keep down the cost of repairs on your furnace because it won’t have to work as hard. Our Insulation R-Value is much higher then fiberglass. What is R- Value? For more information, please give us a call at 518-745-5958 or fill out our contact form online. We will get back to your shortly to schedule your FREE, no obligation consultation.